Receding gums, also known as gingival recession, is a condition in which the roots of the teeth become exposed, leading to a greater risk of decay and the eventual loss of teeth, if left untreated. Exposed roots can also lead to sensitivity to hot foods, cold foods or acids, making eating an uncomfortable affair.Fortunately, modern oral hygiene and dentistry have made receding gum treatment less of a problem than in generations past, even for older adults. It is now easier than ever to both prevent and treat gingival recession. Keeping your gums healthy is the best way to minimize recession. Brushing twice a day, flossing and keeping up with dental cleanings performed by a dental professional are usually all that is needed to keep gums from receding from the teeth.For some people, however, it's not that simple. 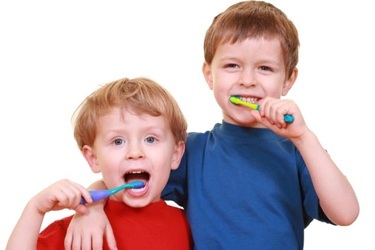 Heredity can cause teeth to recede, despite even the best hygiene practices. You may grind your teeth or have a misalignment, making it easier for plaque and tartar to build up at the gum line, causing it to recede. Brushing to hard at the gum line can also cause gum recession to occur. The first step in treatment is to determine what factors are contributing to the recession, so they can be lessened or, if possible, eliminated. For instance, crooked teeth can be straightened, tobacco use curbed and better oral hygiene methods incorporated.Once those factors are addressed, different treatments can be used by your dental professional to enhance and restore the appearance to your gums:Deep cleaning: Your dentist and dental hygienist may use special tools in order to remove the plaque and tartar buildup on the roots where the gums are receding, a procedure known as root planing. This involves taking the patient's own healthy gum tissue from the palate (roof of the mouth) or using a gum grafting material to replace the missing gum tissue. Your dentist may recommend you see a periodontist, a dental specialist who treats the gum tissue and supporting bone, for this surgical procedure.Regeneration: In severe cases of gum recession, the bone may be destroyed. Recent advances in dentistry allow the periodontist to conduct a surgical procedure where a regenerative material is placed in the area of bone loss to help regenerate the bone and tissue. The gum tissue is then secured in that area where one or more teeth may have been involved.Gum recession might occur very slowly, sometimes over a period of years. This can make it tough to spot if you don't experience pain or sensitivity. However, if you notice that your teeth appear longer, or the spaces in between them appear bigger at the base, contact your dentist, as these may be signs that you need receding gums treatment.